If every plant was a business, its seed represented a company. You could start easily as many companies as you had the seeds. You didn’t have to invent a new business. You just choose from the existing businesses offered by the mother nature together with its “factory” – the land. If every plant was a business, you could evaluate it as a business. You could study each plant’s profitability before investing anything in it to reduce your risk. In this case, your goal is to maximize profit with minimal effort. Who does not want that kind of business? Here is the million-dollar question: Given that you have a small piece of unused land for farming, what type of plant you would like to grow with minimal maintenance but still could promise a decent return? Using the above watermelon (image above) as a starting point, we can make a rough estimate of future income that could be generated by this “business”. The 2.9 kg watermelon cost RM 9.86 at RM 3.40 / kg. It has around 200 seeds. Therefore, we could start around 200 companies in this business. 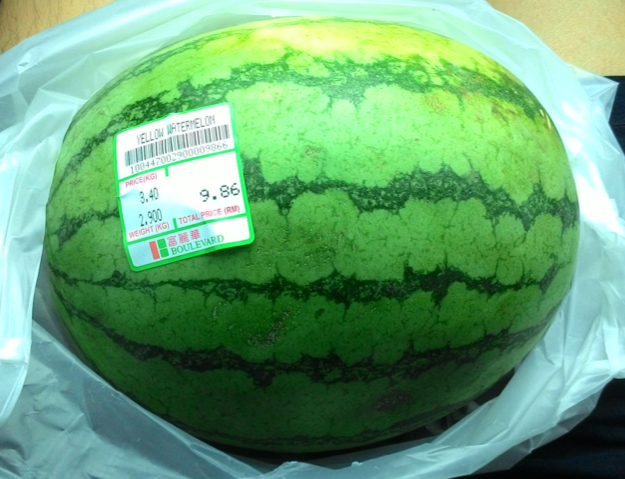 To simplify the calculation, let assume the price of the watermelon as RM 10 (round up from RM 9.86). Let us also assume that we have exactly 200 seeds (I didn’t count all of them, it is just an under-estimate). In this case, the cost of each seed (company) is RM 0.05 (RM 10 / 200). Starting a company with only RM 0.05 is insanely cheap! Now that you have the seeds, how big an area do you need to grow them? The recommended distance between each seed is around 3 to 5 feet. For our case, let use 1 meter (3 feet 3⅜ inches). Therefore, ideally, we would need 15 x 15 (= 225) square meters of land. But for me, since I am the boss, I would grow 3 seeds in the same spot to create environment for competition. A little bit of competition is good for plants. With that, the requirement area will be reduced to roughly 8 x 8 (= 64) square meters of land. Watermelon prefers to live on hill. Therefore, we would need to create an environment suitable for it to grow. We need to use a technology called double-digging to loosen the soil at least 1 foot deep and to create a raised-bed that resembled a small hill. If you would like to learn more about farming and start your own mini-farm, this is a good book to start with. It introduces techniques to minimize the area usage while maximizing the output. It also covers many interesting topics like pest control, nutrient, schedule for planting, etc. If one book is not enough, then this is another recommendation. It is a classic textbook for home gardeners. The author, who was an efficiency engineer before retired, invented in the 70s a new way to high efficiency planting. You will learn a great deal from it even though you are already an expert. Let say each raised-bed requires 30 minutes to dig, then digging 64 raised-bed will require 32 hours. Once the seeds are planted, you would need to water them. Let say it requires 30 minutes to water each day until the plants are matured to produce the watermelons which is after around 90 days, then the work required to water are around 45 hours. Let say it requires 2 hours to harvest and sell the produces (via wholesale), then the total time requires would roughly equaled 32 + 45 + 2 = 79 hours. This translates to about less than an hour work a day for 90 days. Now, this is the most interesting part. We would like to know the potential return of this investment. We are going to start 200 companies. Let say by the end of the 90-day period, half of the companies failed, this still leaves us with 100 companies. This is an overestimation of failure rate for a “proven business” which is to grow natural plants (you should expect a lower failure rate). Let say each company produce two products (two watermelons) during its lifetime (this is an underestimation, it could produce more), we would have around 100 x 2 = 200 products to sell. Since we are going for wholesale, we need to cut the price of our product by half to make a quick sale. This means RM 10 / 2 = RM 5 per product (assuming the product is as good as its parent via inheritance). The total sales will amount to 200 x RM 5 = RM 1000. With RM 10 initial capital investment, this is a 100-fold return on investment in 3 months! Not a bad deal for a small business. It is relatively easy to grow compared to other plants. 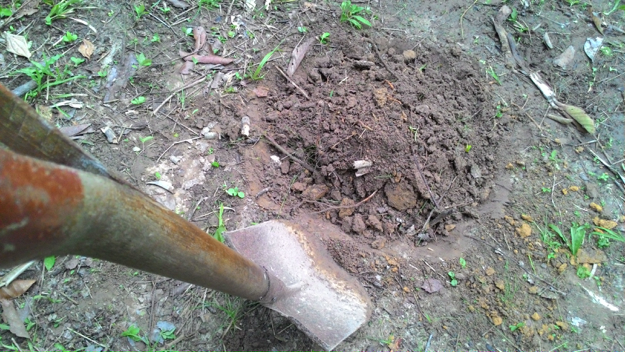 It does not require pesticides and it is suitable for the type of soil and climate that are available here in Malaysia. 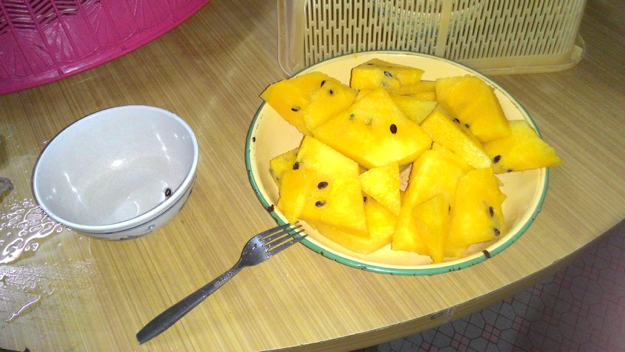 There are plenty of seeds available in one watermelon. You can do tons of experiments with them. Also, the fruit is heavy. In a market where people pay by the kilo, this means less work (more work for the mother nature) but more money for you. It matures in relatively short time – 90 days. Most plants requires at least 9 months (just like delivering a baby) or more to mature. Most traditional (or even modern) businesses are slow to generate profit. If you could see the result in short time, it would be very valuable. 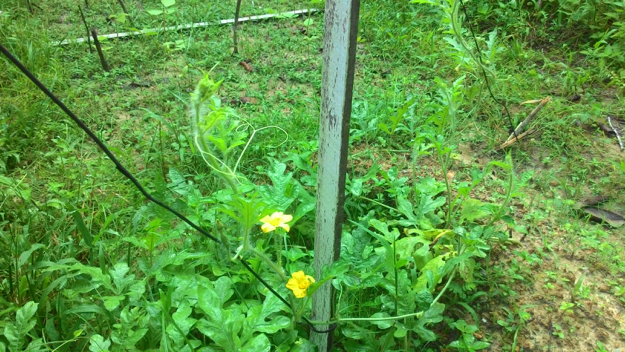 Watermelon plant will not grow taller than you unless you provide the structure for it to crawl. This makes the harvest less laborious than other tree-like plants that will keep growing taller and taller each year making it really challenging to get the high-hanging fruits. 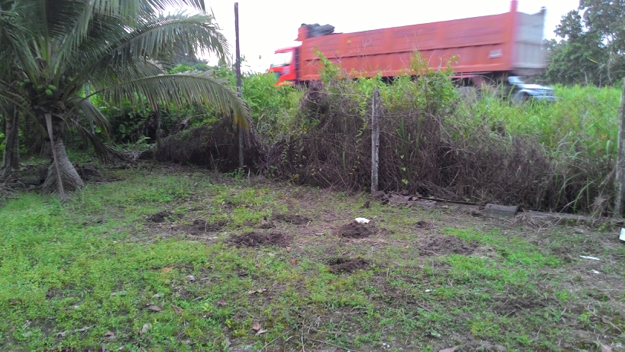 This farming business is a very promising business with 100000 % return if done correctly. It is accessible to any normal human being and it does not require an engineering degree to make it to work. What it needs is a piece of land, seeds, a little bit of knowledge and some discipline. However, having an engineering degree is good too if you want to automate some of the farming process making it less human dependent. Note: No one single person can make a pencil alone. But anyone with watermelon seeds is able to produce watermelons with no help from others. It is a wonderful activity especially when you are retired. It keeps you occupied. One of the hidden benefit of farming would be that it allows people who have no business background to learn about doing business (in-) directly. You can treat it as a real business where you can see the whole business process like setting up the infrastructure (land), operating the business (planting), manufacturing (harvesting), marketing (wholesale), etc. It never fails to inspire me with the fact that a single seed that cost around RM 0.05 can produce a fruit with value of around RM 10. And each single fruit contains hundreds of seeds that each has a potential to produce more fruits! Talking about the compound effect, look no further, it happens all the time in the nature. Once you understood the nature of such a business and using it as a guide, it makes perfect sense, when investing, to buy and hold for life the good businesses that you encounter if those businesses are built to compound and last forever. Finally, if you read till this far, thanks for running this thought experiment with me. 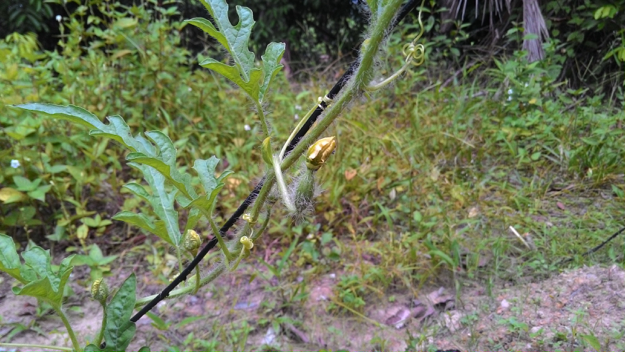 This entry was posted in Business and tagged Farming, Plant on September 30, 2015 by Chok Leong.